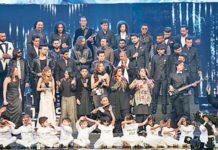 After two pop solos by Komal Rizvi and Qurram Hussain and one rock duet by Ali Azmat and QuratulAin Balouch, Cornetto Pop Rock 2 brings its fourth song for the season by Meesha Shafi. 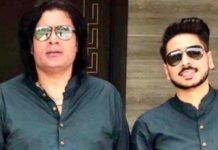 The song Yaar Mere has been produced by Saad Sultan and written by Shakeel Sohail. 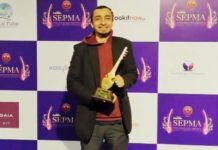 The music video has been directed by Asma Humayun with Asad ul Haq as the Executive Producer and styling has been done by Ehtesham Ansari. 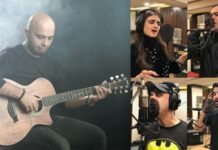 The music video for Yaar Mere tells the story of a couple separated by fate who is longing for each other in their hearts. Meesha plays herself as a superstar and the model Huni Jalaf plays her star-crossed lover and a struggling artist in London. 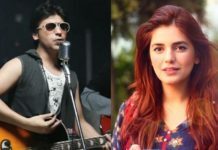 The video shows them both singing the same song, Meesha at a Cornetto Pop Rock concert and Huni at a street corner. 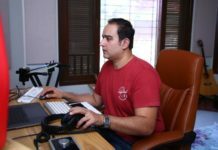 “I had an amazing experience working on this song. The video is very close to my heart as it shows the aspects of a relationship that are not easily understood and the ones we often neglect but are always defining our lives,” commented Meesha Shafi.